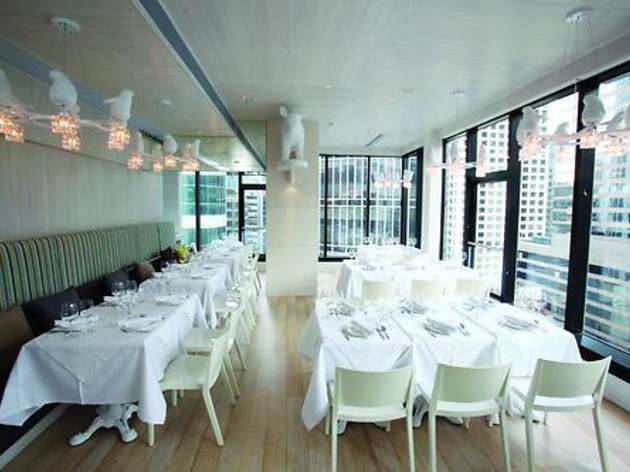 Spain’s rice-laden culinary icon fits snugly into Hong Kong dining with our love of seafood and European delicacies. 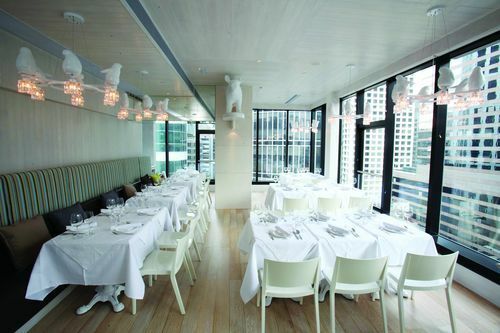 We take a look at some of the city’s finest offerings. 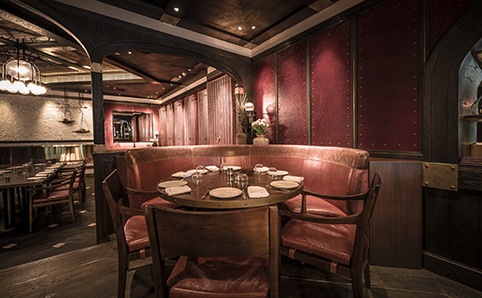 New York-based tapas chain Boqueria brings a bit of Spanish colour to Hong Kong. Inspired by the tapas bars of ‘La Mercat de Boqueria’ in Barcelona, this eatery attempts to recreate the concept of market fresh tapas. 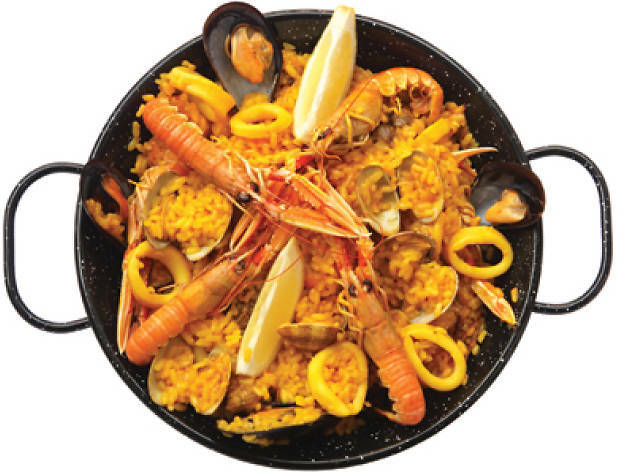 Choose between rosemary chicken paella ($388), seafood paella mixed with saffron and salsa verde ($428) or vegetarian paella ($348) with chickpeas, carrots, paprika and saffron for a deliciously colourful and eclectic paella experience. This Wan Chai Spanish restaurant has developed a reputation as something of a dining mainstay since its opening just over a year ago. This is a trait that has come about in no small part due to its sterling paellas. Built for some lunchtime sharing (the only time they’re available), these paellas keep it traditional with their fresh seafood flavours. The arròs negre ($500) comes jam-packed with cuttlefish and fried squid and the massive seafood paella ($850) coming with scampi, prawns, mussels and clams. If it’s variety you’re after then contemporary Spanish fixture FoFo has it all. Choose between one of the six dishes from its ‘Inspired Rice’ collection – contemporary twists on the traditional paella recipe. If you’re spoilt for choice, give the ‘cerdo Iberico’ a go. This paella features Iberico pork and juicy porcini rice ($410), the flavours balance quite beautifully, allowing the meat to really sing. This Soho tapas mainstay gives both carnivores and herbivores an option with the spicy chorizo and chicken paella ($338) for the fish averse, seafood paella ($292) for the traditionalists and roasted artichoke, green pea, goat’s cheese and wild mushroom paella ($246) for the vegetarians. Everybody wins. This Spanish restaurant serves up an interesting variation on the traditional paella dish with squid ink rice ($368) served separately from the seafood. This might not sound like a particularly dramatic twist but the sheer volume of sauce and toppings you are presented with makes mixing your own well worth the effort. This joint is everything a proper Spanish restaurant should be. 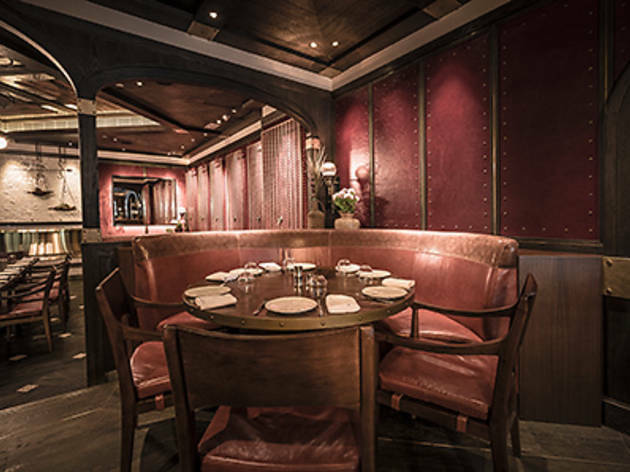 The hazy red interior, token poster of a flamenco dancer on the wall and clothed tables leave you in no doubt of its culinary heritage. And fortunately its paella is also typically Spanish. 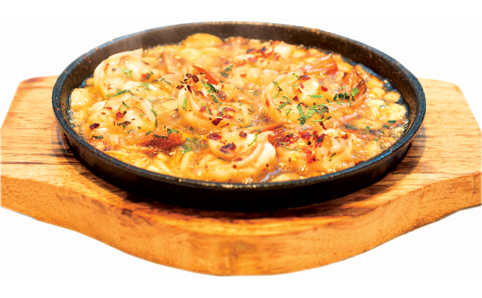 Keeping it simple, they serve a traditional chicken, chorizo and seafood paella ($265). Paella and a panoramic views await at this Spanish eatery. 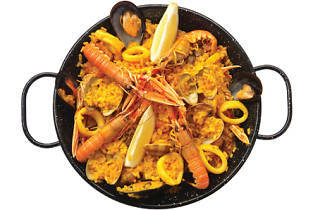 But best of all is the large pan of paella, cooked every day in the centre of the restaurant by one of the chefs, adding an interactive element to proceedings. 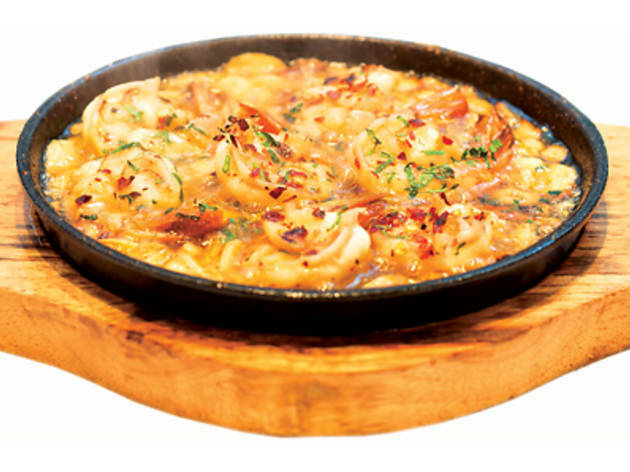 Servings from this huge dish come in single tapas-style portions ($48), so make sure to order one per person.